WARNING: Despite the obvious intent of this article, breaking apart a fusion drive will delete all the data on both its constituent SSD and HDD whether you choose to subsequently secure erase the HDD or not. WARNING: A Fusion Drive is classed as a logical volume group in CoreStorage. However, other connected non-Fusion Drives – both internal and external – may also be displayed as logical volume groups. To ensure you’re targeting the correct one I would suggest ejecting or disconnecting any additional drives first. When breaking apart a Fusion Drive the two pieces of information needed are the logical volume universally unique identifier (UUID): 3BAEF8EE-B7F1-4094-88D4-58CECD811A72 and the logical volume group UUID: CE7D4BA0-BF9E-446F-83AC-8080A77D1AE4. The logical volume needs to be deleted first followed by the logical volume group. Note the difference between the Terminal command for deleting the logical volume: diskutil cs deleteVolume and the command for deleting the logical volume group: diskutil cs delete. As mentioned, the first task is to delete the logical volume. The Terminal command is diskutil cs deleteVolume logical_volume_uuid. At this point we can quit Terminal and secure erase the 1TB HDD using the Security Options in Disk Utility. Secure erasing an HDD involves erasing the drive and writing first random and then known data to the drive a specified number of times. There are 4 options ranging from the fastest to the most secure. The fastest option doesn’t securely erase a drive whereas the most secure and slowest writes to the disk 7 times and meets US DOD standards. Using the most secure option on my iMac’s 1TB HDD took around 12 hours to complete. NOTE: The Security Options button in Disk Utility is not available when erasing an SSD or Fusion Drive as it is not possible to secure erase either type of drive. Having deleted the existing Fusion Drive and secure erased the 1TB HDD, the final step is to create a new Fusion Drive. First we create a new logical volume group followed by a new logical volume. Note the difference between the Terminal command for creating the logical volume group: diskutil cs create and the command for creating the logical volume: diskutil cs createVolume. The Terminal command for creating a new logical volume group is diskutil cs create logical_volume_group_name disk_1 disk_2. disk_1 and disk_2 are the device identifiers of the 24GB SSD and 1TB HDD respectively that can be obtained by typing diskutil list in Terminal. Be aware that your drives may have different identifiers to those shown below. Note that spaces in the logical volume group name are escaped with a \. Alternatively, you can enclose the logical volume group name in double-quotes: "My Fusion Drive". Discovered new Logical Volume Group "385A33C7-D843-46A7-A022-E5B2D0A3BC1F"
Having created a new logical volume group, the next step is to create a new logical volume. To do so we need the UUID of the logical volume group created in the previous operation: 385A33C7-D843-46A7-A022-E5B2D0A3BC1F. Note that spaces in the logical volume name are escaped with a \. Alternatively, you can enclose the logical volume name in double-quotes: "Macintosh HD"
While still in Recovery Mode we can now re-install macOS on the newly created Fusion Drive. Recently my 3TB Fusion Drive on my 2015 iMac 27“ started to massively corrupt files I could not recover in any way. The Mojave Update last year was done per clean install. After many hours I was clueless, how to restore corrupted files, even copying my data to an external rendered the external drive useless. After every try I had to erase it again in recovery mode. I found some hints that similar issues were effecting others running large fusion drives and Mojave. Since my last clean install was not long ago, I decided I had to change the config somehow. I stumbled across your manual and it thankfully guided me through the process of resetting the fusion drive, seperating it and putting it together again. Now I configured a 1 TB Fusion drive which I will use in APFS as before and a 2 TB data partition which I will run with HFS+. I hope it will stabilize my system and give me greater security for the data on the second partition. Thank you very much for your instructions! Why doesn’t this work for me? I get to the first stage – diskutil cs list – and it comes back with: No CoreStorage logical volume groups found. I definitely have a Fusion Drive. 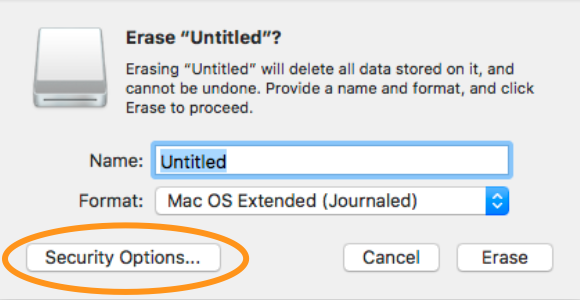 I guess you must be running macOS Mojave and your Fusion Drive is formatted as APFS in which case these instructions are most likely not relevant. However, there are a couple of comments below from Eric Bousquet-Calle who found that diskutil resetFusion worked for him. His second comment maybe of particular interest to you. Thank you for your article, I found it educational and very helpful! Thank you for this complete tutorial. Running around in circles for days trying to understand why my available disk space is constantly shrinking, I tried to restore my system yesterday night with no success. I have a 1.12 Fusion drive that, despite my erasing pretty much everything is now reduced to 125 gb available with a mystery “System” part taking up to 500 gb and nowhere to be accessible. I found your post and am about to give it a try but wasn’t sure it’s apply to my case. I have Mojave latest update running and my drive is APFS formatted. Do you think I can follow the same approach in such a configuration? What about system re installation? Will the Mojave installer also re install the Recovery partition or will this be lost? Thank you again for your work and in advance should you be kind enough to get back to me. My current iMac has an APFS Fusion Drive, but it’s no longer shown as a CoreStorage logical volume group so I suspect my instructions won’t work for APFS Fusion Drives. I did however find this article by Apple, the second part of which – entitled “Using Internet Recovery” – appears to show how to break apart an APFS Fusion Drive and erase its constituent HDD and SSD. It then continues with how to create a Journaled HFS+ Fusion Drive. HFS+ Fusion Drives are automatically converted to APFS Fusion Drives when macOS Mojave is installed. Two caveats: Firstly, the article refers to macOS High Sierra beta and may not be appropriate in your situation or for Mojave in general. Secondly, I’ve not tried it, so cannot say whether or not it works for APFS Fusion Drives under Mojave. As with anything involving erasing your drives, always ensure you have at least one trusted recoverable backup beforehand. Thanks a lot for your kind feedback. I really appreciate your looking into this. I continued digging after posting this question and stumbled on a page describing the diskutil instuction. Reading it I found an instruction I ignored, resetFusion. In a word, it erases and resets to factory settings the Fusion drive, to HFS+ in my case. I gave it a try and it worked like a charm (I had to do it twice actually as I made a mistake on my first Time Machine restoration). 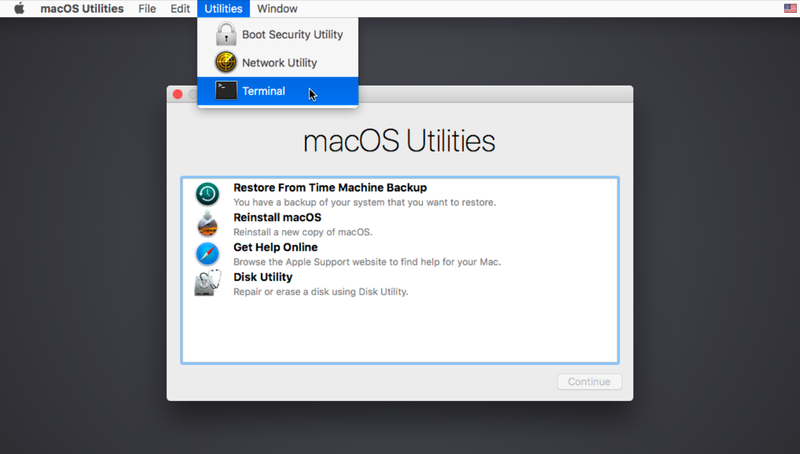 I then used the Disk Utility tool to convert to APFS before the clean install as I suspected the automated conversion on Mojave update in September to be responsible for the mess. It worked smoothly and I successfully recovered 550 Gb of my Fusion Drive!!! There is no longer hidden / unaccessible “Other volumes” on my drive. In case you’re interested and you accept external links in the comments, here is the page I found with all diskutil instruction. It may be a useful reference for others. Thank you. That’s the first I’ve heard of resetFusion in diskutil. This is the link to the updated man pages for diskutil you kindly provided. The same information may be accessed by typing man diskutil on the command line in Terminal. Thanks for article! Very helpful and clear. One thing though? How do you securely erase the SSD, as the method you used to erase the HDD doesn’t actually permanently erase the contents of the SSD? I tried Parted Magic and have had no luck, the program boots and recognizes the SSD, but doesn’t wake it on boot, there fore not allowing it be be wiped. As you’ve realised, Disk Utility doesn’t allow you to erase an SSD because Apple have disabled that option for SSDs and Fusion Drives. I’ve heard reasons for this ranging from a standard erase makes it difficult to recover data from an SSD so why bother with a secure erase, to securely erasing an SSD doesn’t actually securely erase it and can reduce the SSDs reliability and longevity. That said, this article claims you can securely erase an SSD using Terminal, although I’ve never tried it. The article appears to have been written 3 or so years ago, but looks to have been updated recently in 2018. Thanks a lot Steve!! This is a great manual for the Fusion drive! Great tutorial, thanks for sharing this useful information! Steve, thank You for this amazing list of instructions! I couldn’t find anything else that let me erase my fusion drive iMac storage memory. Thank you very much for writing this down! Good point. I don’t believe you could target the Fusion Drive because it contains the SSD which – as far as I’m aware – can’t be secure erased. However, it may be possible to target the HDD directly without breaking apart the Fusion Drive. No idea how this would effect the stability of the Fusion Drive though. Thanks! This was really super useful, concise, and easy to follow the steps. Everything worked beautifully except I couldn’t get Disk Utility to begin the erase. Selecting the HDD, Disk Utility kept trying to rebuild the Fusion drive and would not allow erase… only prompting choices to Fix or Ignore. 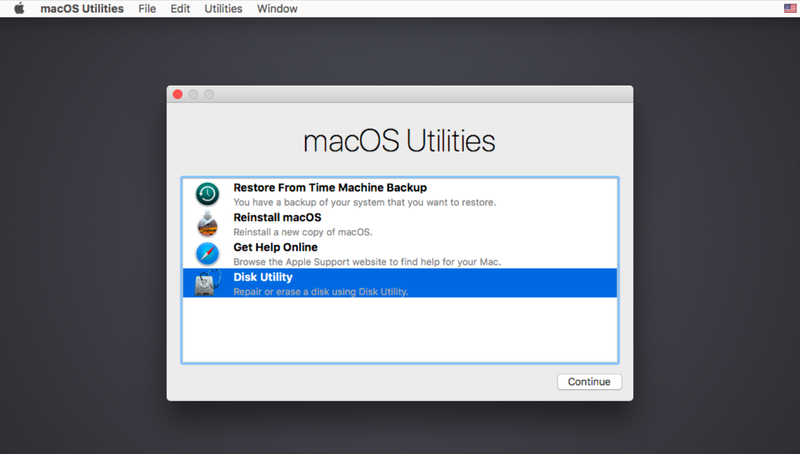 I didn’t experience Disk Utility trying to rebuild my fusion drive, but I have heard of it before. Not sure that it makes any difference, but I was using macOS Sierra at the time. Were you able to get it to work?